Being in the dog house is finally a good thing! 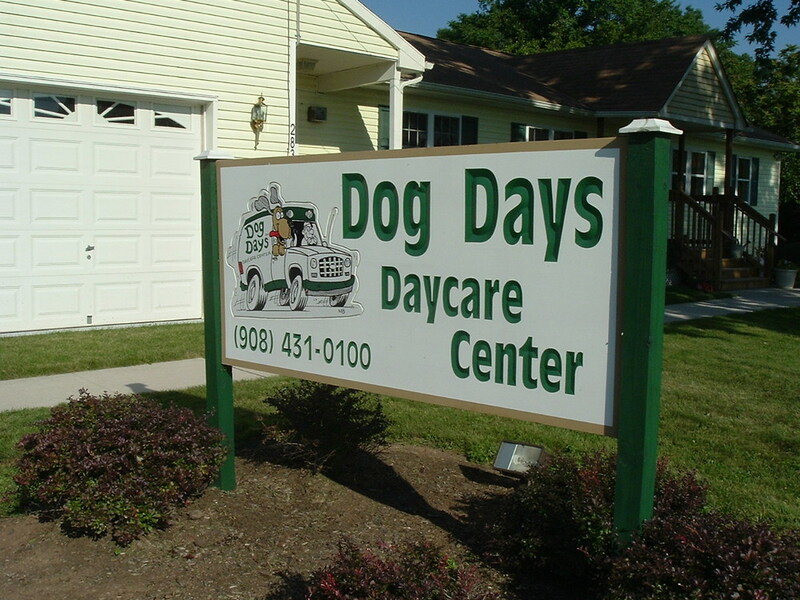 Dog Days Daycare is an environment “just like home” with plenty of indoor and outdoor room for your dog to play or relax while you're away at home or at work. 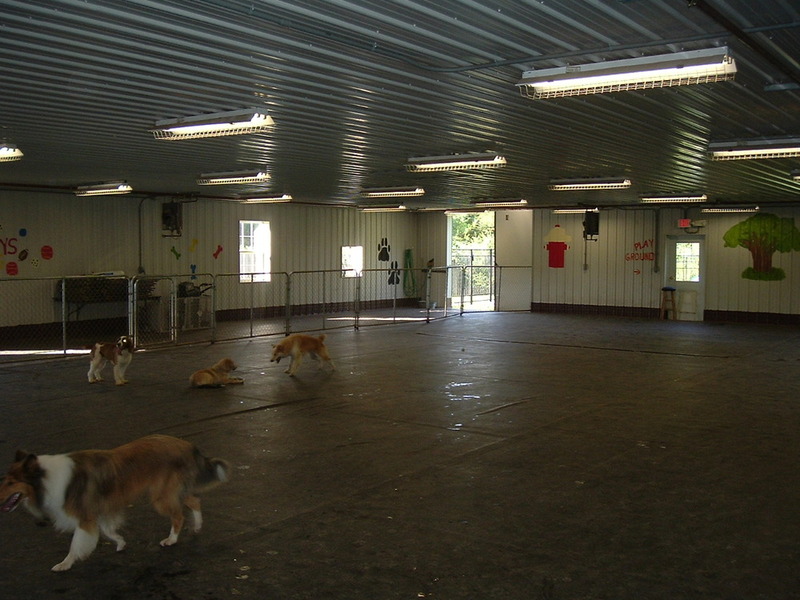 The dogs have the run of the entire facility, inside and out, to come and go as they please. Our location at 281-283 Roycefield Road was originally a two-family residence. That residence, now affectionately called the “Dog House”, has been converted to our daycare center that will feel just like home to your pet. 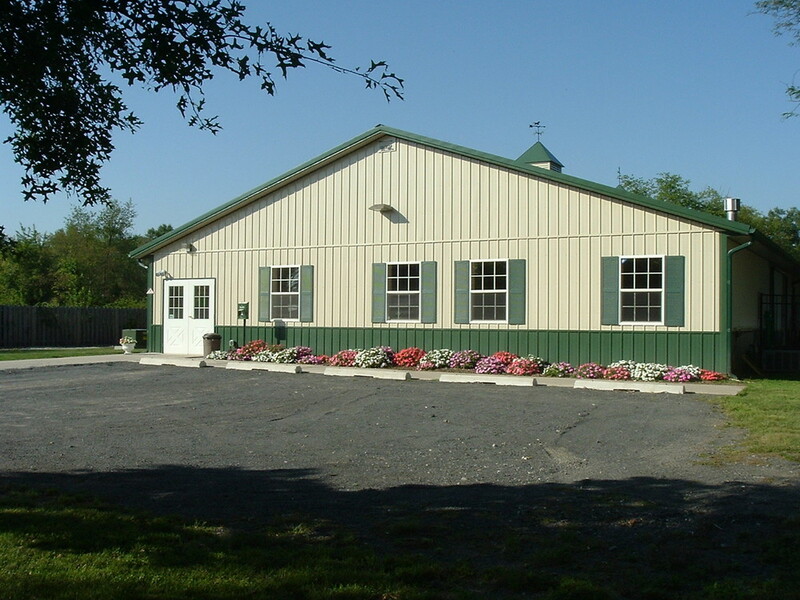 Conveniently located only minutes from routes 22, 287, and 206, Dog Days Daycare is nestled alongside the expansive Dukes Farm and Estate in Hillsborough, NJ. Our "Dog House", a converted residence, is sure to make you and your pet feel right at home. Astro Turf installed in all play areas for your dogs comfort. Our "Ruff House" was purpose built for those pets who require a little more room to stretch those legs out and run with the pack. Where the high energy dogs and dogs with a "ruffer" play style play. No cats here. Strictly dogs only! Lots of room to stretch those legs out and run. Play areas may be divided to allow different seperate play groups or activities. Over 2 acres of beautiful scenery next to the Dukes estate and park far away from the busy hustle and bustle of the area. No matter the season or weather, we're always here for you. Each and every dog here becomes a part of our pack. Our full service, all breeds grooming barker shop is ready to serve. There are separate rooms for puppy kindergarten and other groups of small, timid, older, special needs, or less energetic dogs. Access to fenced, outdoor play areas is available at all times. The dogs have the option to play together in groups, sleep on the furniture, lounge on the deck, or run around the yard. Our staff of one handler for every ten to fifteen dogs ensures that the dogs are supervised at all times. Staff members engage the groups in games of all kinds using thing like balls, ropes, and Frisbee's; but they’ll also enjoy just letting your pet be a lapdog while they dish out lots of TLC. 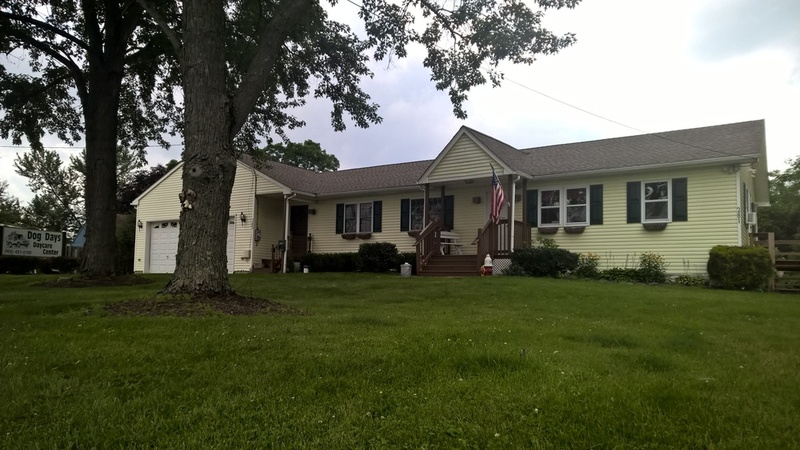 At the rear of the property is the 5,000 square foot “Ruff House” where the high energy and large breed dogs will play on a cushioned surface. Outdoor, fenced areas are also available for use throughout the day. This building contains separate staff facilities and also houses our training center. Here, too, our staff will constantly supervise the action to ensure a safe and enjoyable environment for all. Sure we can show you around! We love to show off our facility! Simply reach out to us to make an appointment and we'll get you all set up for a nickel tour ASAP. Since we are an open pack environment, we only give tours by appointment to ensure everyone's safety. Having new people coming in and out of the pack during the day can disrupt the dogs natural play and rest/sleep cycles. We schedule our tours for early in the morning or mid-afternoon while all the dogs are all at similar energy levels. We do ask that you please not bring your dog to the facility as your dog's visit is part of the second portion of our interview process. He'll get to sniff and poke around soon enough, but all things in due course. Our tours are typically scheduled for weekdays between the hours of 12 pm and 2 pm. Thank you! We'll get back to you as soon as we're humanly able!